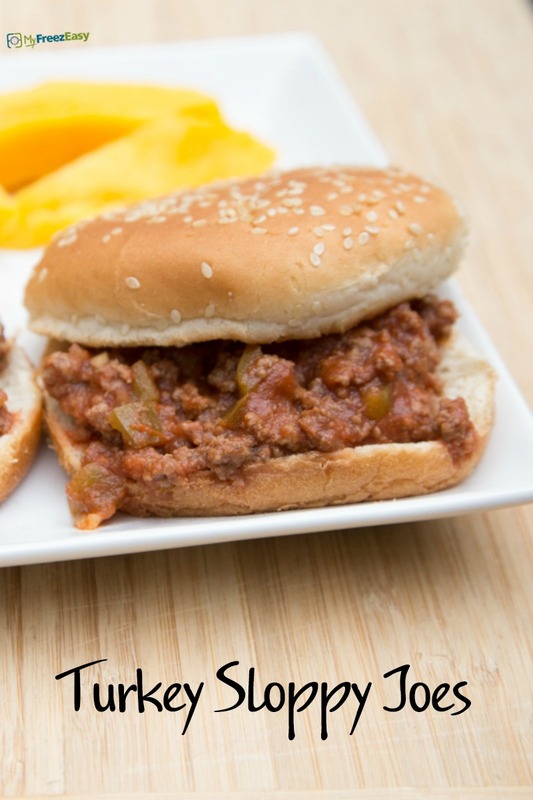 A little twist on your traditional sloppy joe! Brown the ground turkey in skillet and drain. Return to the skillet and stir in the tomato sauce plus 1/2 can worth of hot water, mustard, vinegar, brown sugar, minced onion, paprika, cumin, garlic powder and salt and pepper. Bring to bubbling and simmer for 10 minutes. 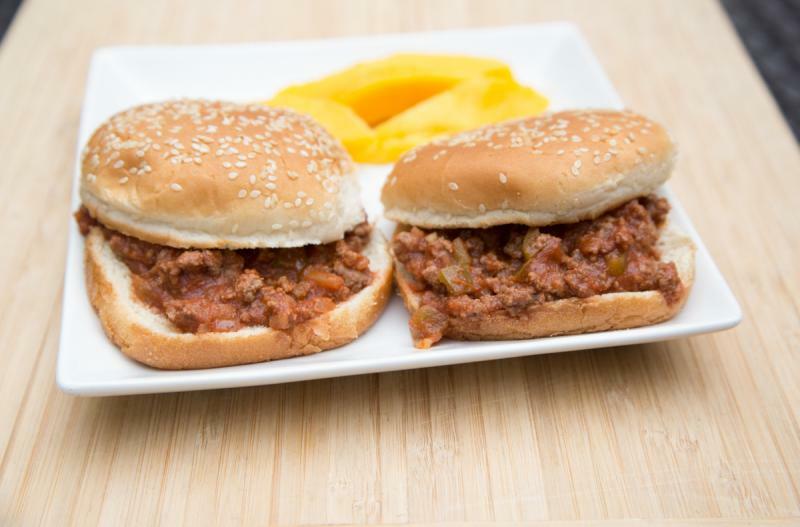 Serve Turkey Sloppy Joes on hamburger buns with side of fruit. Brown and cool 2 lbs. ground turkey.